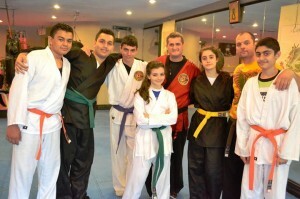 Villari’s Martial Arts has been teaching Martial Arts to families for decades. Our proven techniques and professional staff provide the best Karate, Shaolin, and Tai-Chi classes training available in our studio in the Vaughan-Woodbridge area. Our certified and internationally recognized Black Belt and Master Instructors have studied for years to qualify as part of the Villari's Martial Arts' Team and undergo continuous advanced training to keep their skill sharp and fresh. They have a sincere interest in your self-improvement, and in helping you reach your goals, and to make each student's journey as fun, exciting, and educating as possible. 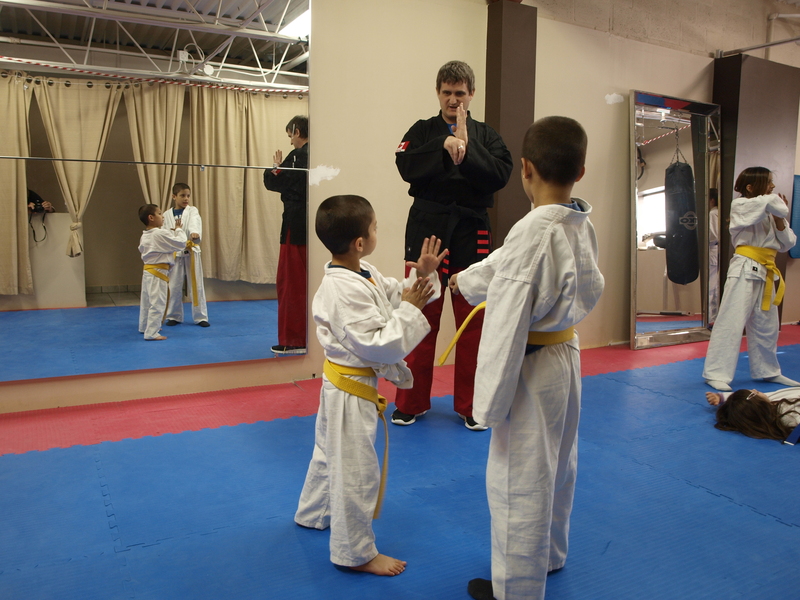 We monitor progress closely and walk students every step of the way.Call us today at (416) 880-2047 for more information about our Martial Arts programs. Some of the benefits that you will experience are: Increased strength, improved flexibility, faster reflexes, excellent focus, better balance and an overall increased feeling of well-being. Classes are professionally instructed and offered to men, women, and children ages 4 and up. Whether you are looking for self-improvement or improving your child's capabilities, call Villari’s for a free consultation, if you have any questions or to ask about our schedule. In addition to our extensive Martial Arts training, 4th Degree Black Belt Sensei Terry Popovich C.N.P. is currently enrolled in the Doctor of TCM program at The Ontario College of Traditional Chinese Medicine. His studies include Acupuncture, Chinese and Western Herbology, Tui-Na (Chinese massage), Chinese Medical Qi-Gon,g and Tai Chi. He has also been practicing as a Certified Nutritional Practitioner for the past 10 years. For people requiring health related benefits, Sensei Terry brings forth a vast knowledge in the healing Arts and is an expert in rehabilitating and putting one's body to the right path of healing. Some of the ailments that he has treated are: Osteoarthritis, Obesity, High blood Pressure and High Cholesterol, Gastro-Intestinal disorders, the Common cold, Diabetes, Fibro-Myalgia, Immune Disorders, and Cancer. Please feel free to call and speak with Sensei Terry Popovich C.N.P. today! (416) 880-2047. Welcome to Fred Villari's Martial Arts. World's largest chain of Self-Defence clubs. Shaolin Kempo Karate or Kung-Fu, as referred to by the Western Chinese, are one in the same. The origin of Shaolin Kempo Karate dates as far as 4,000 years ago when the art was used by the military. The first Shaolin monastery was erected on Mt. Su in Hunan Province by the true monks who were seeking the salvation and unity of their souls and bodies. The Shaolin Kempo Karate movements were derived from the five original animal forms: The Dragon, Tiger, Leopard, Snake and Crane. Fred Villari's Studios of Self Defence is willing to share with you the secrets of the Shaolin Kempo Karate, Jiu-jitsu, and Kung Fu. Men, Women and Children have joined our classes control their bodies and their lives. We have established numerous schools internationally in order to bring this art to millions of interested people all over the world. The art of Shaolin Kempo Karate will enrich you both mentally and physically regardless of gender, age, level or size. Within a few weeks at Fred Villari's studios you will notice, with justifiable pride, how you have begun to develop an awareness of inner peace, and an ability to deal with emotional tensions so prevalent in these times. Grand 5th degree Black Belt Master Terry Popovich has decades of experience in teaching Karate and Martial Arts to students of all ages. He is here to instruction and help you to get on the right path. Call (416) 880-2047 for more information, email tpopkf@hotmail.com or please click here for our contact page. A free uniform will be provided upon sign up. 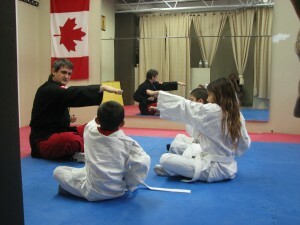 For more information about pricing, schedule, karate and procedures please click here.